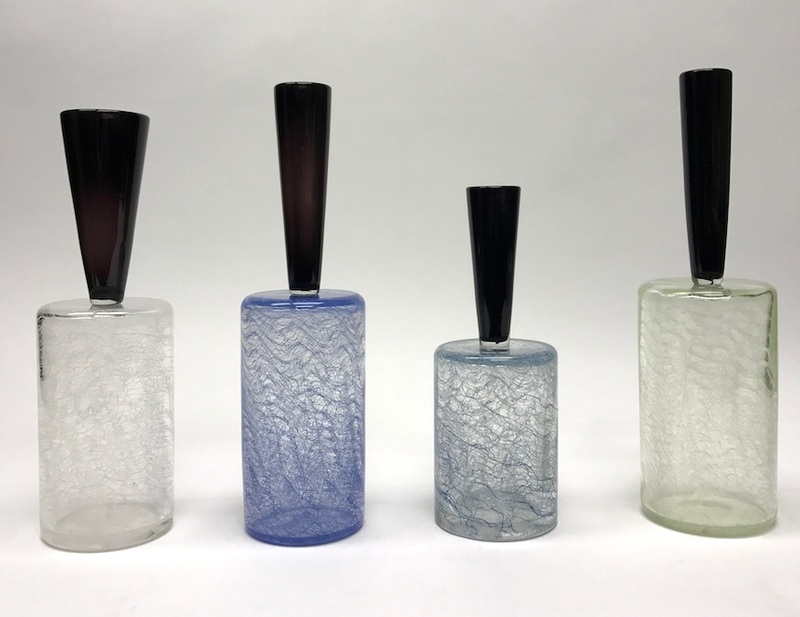 "Working with glass beyond a traditional functional form allows myself the opportunity to investigate the relationships between multiple vessels and materials working in conjunction to create unique objects. I explore these options though size, color, juxtaposition, and the introduction of multiple mediums. Building a language between materials, creating energy within the work, I am able to narrate a story through the intricacy and internal workings of the piece. The complexity of our daily life pushes my work to simplify to the essence and base form of any design. My focus is to continually push the conceptual boundaries in visually striking ways, perpetually evolving my forms and concepts." Trey Snowdon received his first degree from The Ohio State University in Biological Anthropology in 2006, he then decided after traveling through europe to attend the Columbus College of Art & Design where he learned glassblowing. In 2013 Trey received his dual BFA in Glass and Small Scale Metals under Dawson Kellogg from CCAD, he then quickly transitioned into his MFA the same year. Trey is now working toward his MFA in Glass at Kent State University in addition to teaching glass courses. As a glass sculptor Trey continues to push the limits of glass, merging numerous mediums together, while also conceptually evolving his work.